Schmeichel should have done better with their goal, seeing it again. A young Norwich supporter who died of cancer earlier this year. It’s generally been a pretty poor season for him and Maguire. Going to be some interesting decisions to make in the summer. Morgan with a Frank Sinclair-esque back pass. I absolutely agree about Schmeichel. I really do think we should be looking at giving Ward some time. He's impressed me each time I've seen him. Maguire has been good for me for the most part this season. Especially given Puel's nonsensical approach to defending earlier on in the year. Shame to only be level at half time as they had done nothing until a mistake from Evans opened it up a bit for them. We could have defended better after but Evans mistake was key. Still think we can come away with 3 points here though. What was printed on Maddison’s undershirt? Please show me a yellow card? Another piece of comedy defending from us. It's like an episode of 'Some Mothers Do av em' back there. West Ham 1 Hudderfield 3. Makes sense really to push Chilwell more forward as we are clearly sitting back more this half. Stephen Merchant on for Burnley. 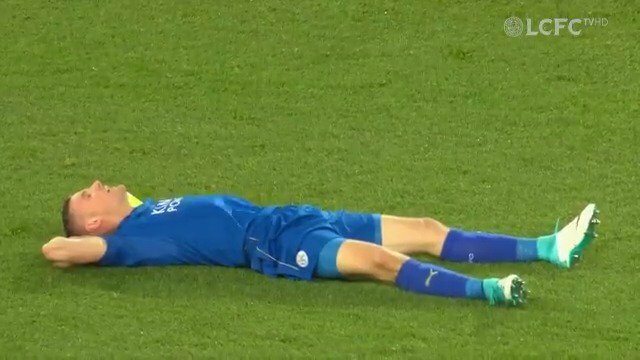 Chilwell playing like a complete duffer again today. Wilf got away with that - looked a dead cert peno! Can't understand how that's not been given. Very lucky there. Change of system seems to have unsettled us really.